International Coffee Day: an excellent occasion to create more brand awareness for our coffee client from Assen. 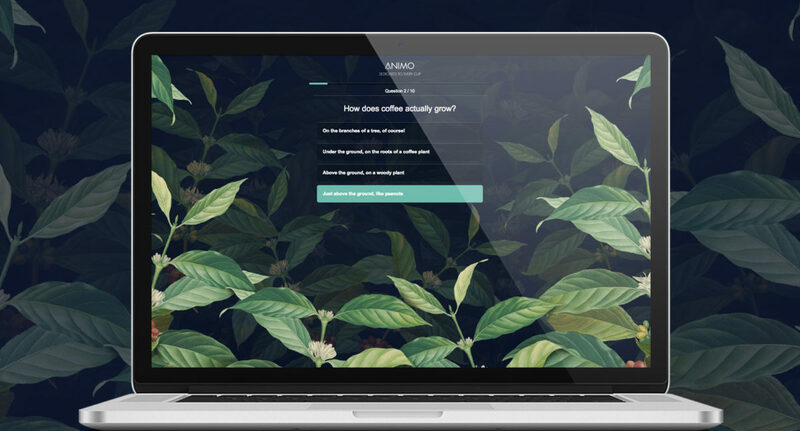 This year we designed a coffee quiz for (and by) coffee lovers. 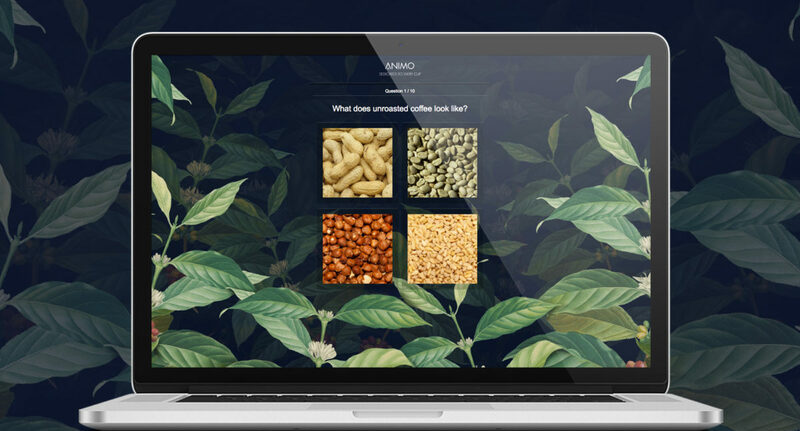 A multiple choice quiz to test coffee knowledge. Fun and simple, but challenging enough for our professional target audience. Easy to share for high engagement. 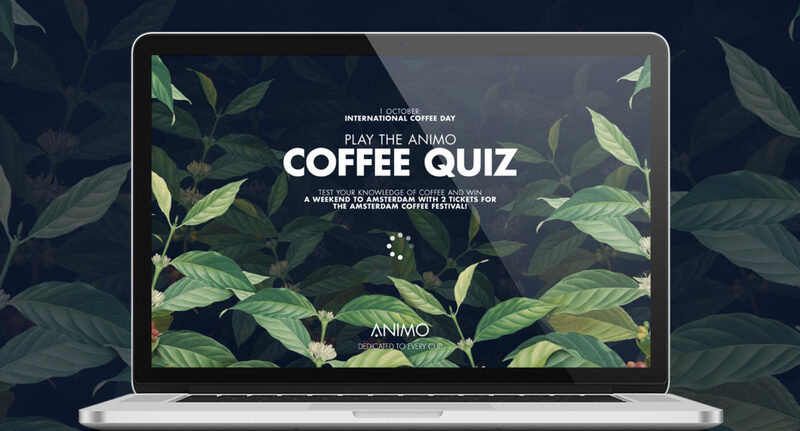 Animo activated their custom-made Coffee Quiz through their European Dealer Network. We used email, Facebook and LinkedIn to get over 1,000 players (and one winner). Engaging players is always easier when there's something to gain. 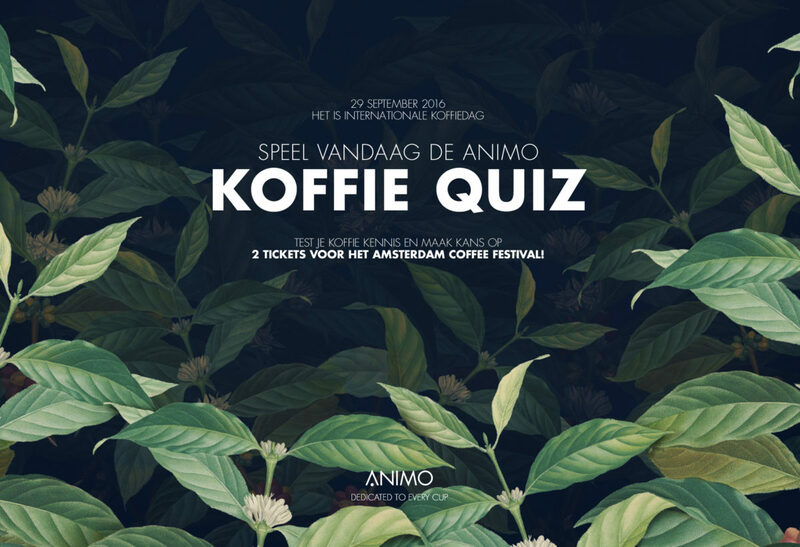 And for coffee lovers, what could be better than an all-inclusive trip to the Amsterdam Coffee festival? !